This Is One Tough Duramax!! Absolutely Immaculate Inside & Out! Thousands in Adds! 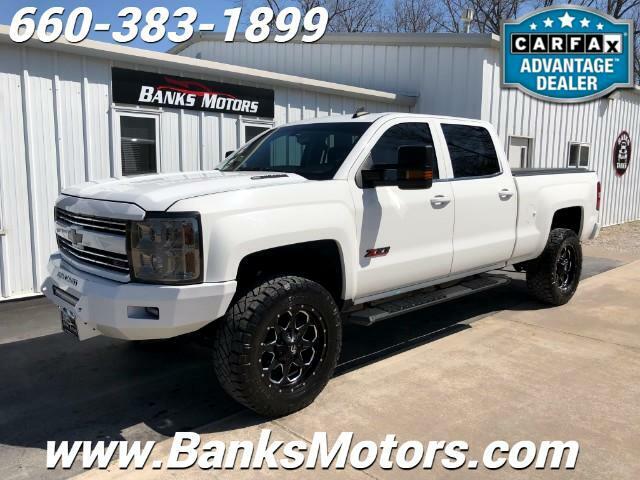 This Crew Cab Silverado Z71 comes with the 6.6L Duramax and Legendary Allison Transmission! So many Impressive Features come with this truck which include.....34" Nitto Ridge Grappler's, 20" Fuel Boost Wheels, Fabtech Leveling Kit, Custom Iron Cross Front Bumper with LED's, Folds of Honor Cab Steps, Chrome Subzero 3D LED Front Headlights, Custom Iron Cross Rear Bumper with LED's, Access Bed Topper, Custom Blackout Badging, Deep Tinted Windows, Spray In Bedliner, Custom Painted Front Grill, Backup Camera, Trailer Brake Control, Bluetooth, Mounted Audio Controls, Power Seat, Adjustable Foot Pedals, Dual Climate Control, Trailer Brake Control, Power Mirrors and more!! This is as clean of a pre-owned truck as you will find anywhere in the Nation! We are located in Clinton, MO, less than an hour southeast of Kansas City! No Games, No Gimmicks, Just the Right Way of Doing Business!